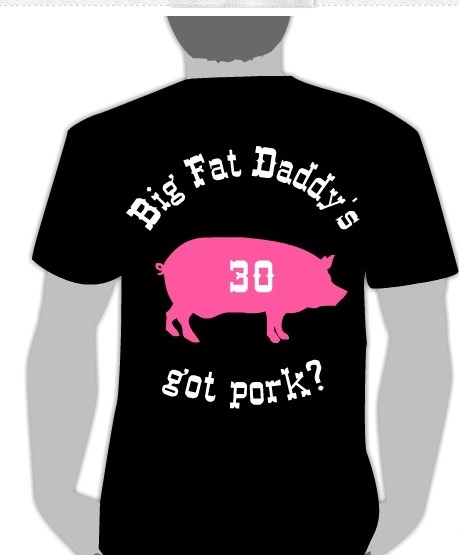 I’ve been busy designing exclusively for Big Fat Daddy’s. Shirts, hand painted signs, website redesign, you name it. 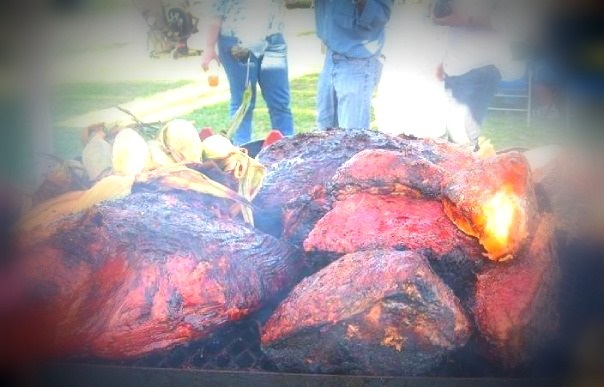 This is what happens when you marry a famous barbecue guy, a pitmaster if you will. Expect to be whisked away from town to town with no time to do much of anything anymore besides grilling cows and pigs sightseeing. It takes a while initially to learn to go from upscale office girl with perfect nails to someone covered in beef blood and smudges of charcoal briquette. I guess it’s okay once you build up tolerance to the charcoal pit smoke inhalation and to accept the fact that you will, almost immediately, smell like a grilled onion for the best part of the day. Typing, designing, and writing make for an easy day easy. However, cooking and slicing beef for the masses is not an easy task. Usually the pits my husband makes burn real hardwood which sear the beef at 300 degrees or higher. Now stand behind that all day when it’s 90 to 105 degrees out. You better be quick, and grill and cook to feed the masses because everyone comes at lunch and dinner and you have a steady flow of eaters in between. So why did I put my second book deal on hold and step back from my art and writing career? No time for artwork or even to mess with my Etsy anymore? Truth be told my husband takes a lot of pride in what he does but he’s no spring chicken anymore, in fact he’s celebrating 30 years barbecue and grilling and needed me to re-launch his brand. I designed the 30th year anniversary shirts, all the designs you see here. So it was nice to see my designs go into production. I made sure to use a local printer within Pennsylvania because that’s where his business is. The designs are old time screen printed, and I made sure the shirts were made in the USA. 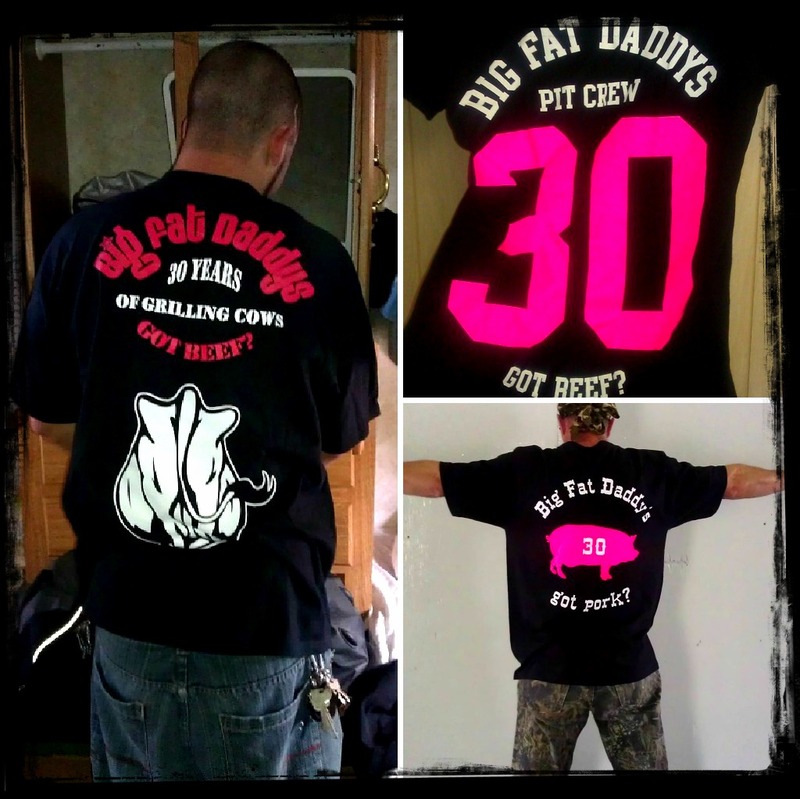 The “Got Pork” Shirt is actually organic cotton. How did they turn out? Meanwhile, I had to ask myself which of our careers is the here and now and better opportunity to make the cake. That would be his, because for now, people have to eat. Ride the wave and do what he loves to do now, I can always write and make art in the future. Summer is coming and I’ll be busy. He’s tweeting to over 21,000 people about his barbecue. I bet they all come to eat at once. 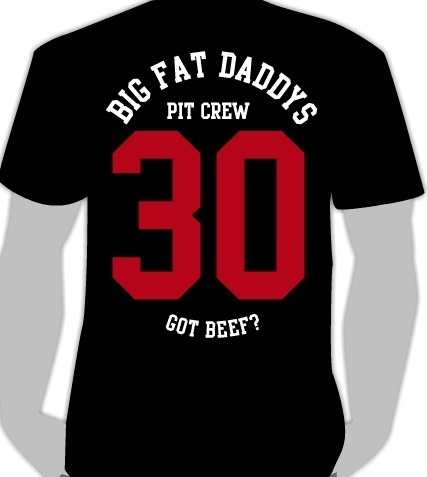 Status: Available for Purchase at BigFatDaddy’s official website or the Big Fat Daddy’s Store.